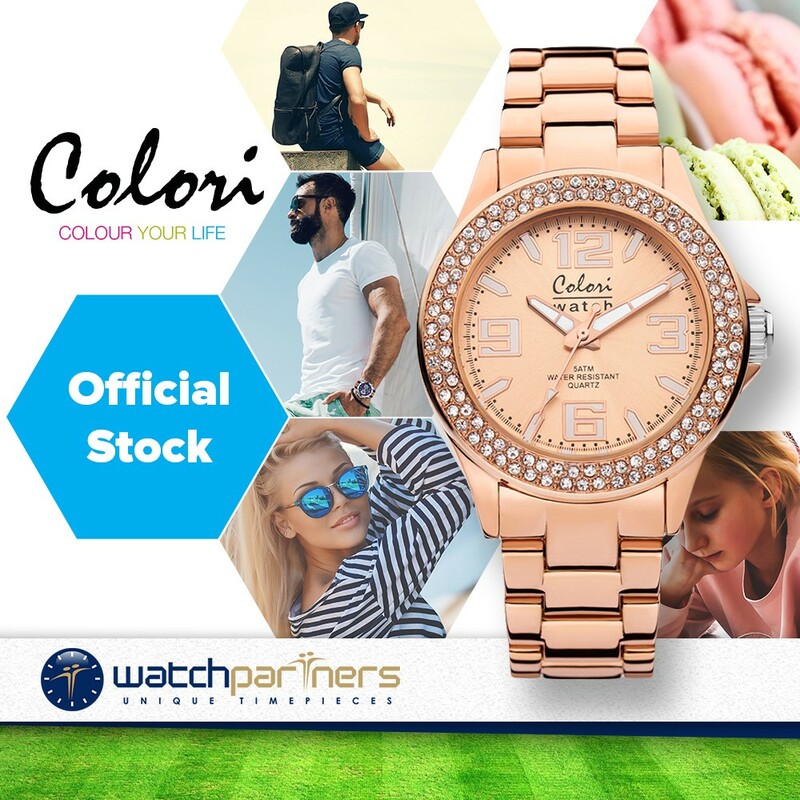 The Colori Pure Metal is a competitively priced dress style watch. Dimensionally the timepiece has a petite 33mm rose gold colour steel case (and bracelet) that is practical to wear for most occasions. 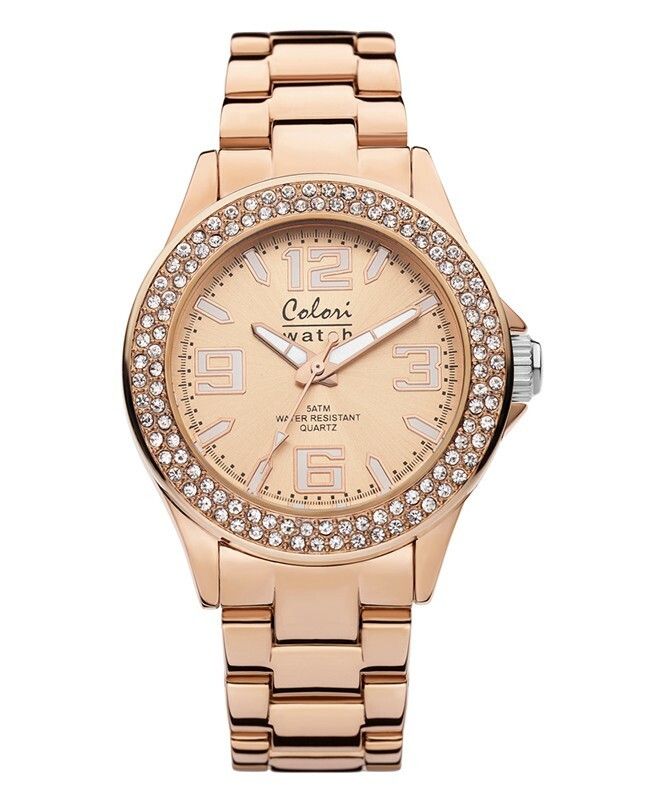 Distinctive features include a rotating gold Cubic zirconia set bezel, gold dial with contrasting white numerals and mineral glass. Powering the watch is a Japanese made Miyota quartz movement.